Pasta is one of my all time favorite units to teach in my Foods unit! Pasta is so easy, versatile, and economical that I feel every student should know how to prepare before they leave high school! I always tell my students that they will never go hungry if they know how to cook pasta. 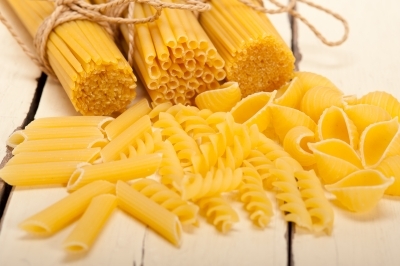 Use the provided slide to navigate through a variety of resources to learn more about pasta as your students complete this assignment and work their way into the lab. Bell Ringer: Why is pasta simple and complex all at the same time? Share that it’s simple to prepare but complex in carbs. I use Google Classroom, so I send out the Exploring Pasta Slide to all of my students using that platform. Everything I want them to work on is hyperlinked on the slide so all they have to do is click on it and it takes them to the information and resources I want them to use as they independently work through the information. Once students have completed their notes and activities, we go over some as a class and other parts I collect and grade. Students then prepare an easy, economical pasta dish, Two Cheese Spaghetti, in the lab. I have been using this recipe for years, with success! Not only does it taste good, but it’s easy to prepare, eat and clean up in a 43 minute class period. 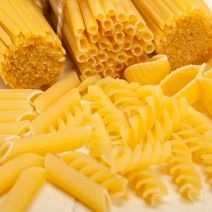 Of course, if you have longer class periods, you can always sub out the angel hair pasta for thin or regular spaghetti. If you’re looking for some other easy pasta recipes that can be prepared in 43 minute class periods, try Parade Magazine’s Cheese & Pepper Pasta or this Classic Alfredo by Mr. Food. ← SKITCH: Food Label Information–Mandatory or Voluntary? This is great! My students requested a pasta lab and wasn't sure what I would do. I can't wait to try out the lesson plan with my students at the end of the week. How long did it take your students to complete the assignment? I typically give my students 2-3 days to complete the assignment prior to the lab. It becomes homework if they don’t finish! It's amazing how you made an explanation about pasta interesting! Keep it up!